The Super Bowl is Sunday, and I’m here to give you, the standard Swarthmore student swamped in problem sets and papers, a few good reasons to watch it. First, you don’t need to know anything about American football to watch the Super Bowl, so that is not a viable excuse to skip the game for studying. At this point, if you have no knowledge of the rules, that’s fine. There’s no time to learn them all anyway. What you need to know is this: football operates like most other sports. There are two teams, trying to score more points than the other in a variety of ways, and the team with the most points at the end of the game wins! However, if you still fear being exposed as a clueless spectator by some of the sports fanatics you may be watching with this Sunday, just blurt out “What even qualifies as a catch anymore, am I right?” or “Tom Brady (bray-dee) is a system QB.” That should be enough to throw the room into furious debate and divert attention away from you. Briefly, I’ll describe the two teams playing, but in Swarthmore terms so that you’re somewhat in the loop as to what’s on the line. First, the New England Patriots: they’re the Economics major. The Pats have consistently been at the top of the league for over a decade, just as economics has been one of the most popular majors at Swarthmore for a while now. The Pats are efficient with a well-established and working system, just like the economics major, which requires just eight credits and a comprehensive exam for the degree. The Patriots’ opponent, the Los Angeles Rams, are representing the Computer Science major. They’re fresh, exciting, and dynamic. They are also on the rise and probably going to overtake the previously dominant force as the top major in the school, or in NFL terms, team in the league. Here’s another analogy in dorm form if you’re not too familiar with those majors. 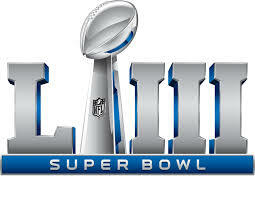 The Patriots equal Alice Paul, which opened in 2004, the year the Pats won their second of five Super Bowls in the past 15 years. AP has been one of the most desirable spots on campus for the past decade or so, with the delightful combination of air conditioning and a great location, just as the Patriots have been a great franchise to play for. The Los Angeles Rams, on the other hand, are the new and flashier New PPR apartments: the soon-to-be-if-not-already top dorm in the school, or again in NFL terms, team in the league. You don’t know enough about those dorms, you say? The Patriots are the Science Center, the Rams are the new BEP. Pats equal Essie’s. Rams equal the Crumb Cafe. It’s the seasoned veterans vs. the new kids on the block. You get the idea. The New England Patriots are led by a legendary coach, Bill Belichick, and quarterback, Tom Brady: think Adam Smith and John Keynes, except living. The Los Angeles Rams, on the other hand, are led by a younger coach, Sean McVay, and quarterback, Jared Goff: think Elon Musk and Mark Zuckerberg. Now that you know what game is being played and who’s playing, we can start working on what to watch for. Unfortunately, I can’t recommend who to root for. As Swarthmore students residing outside of Philadelphia, we won’t get any tangible benefit from one team winning unlike last year when the Eagles won. Sorry, but no rioting in the streets this time. However, there are still parts of this game to get excited about. On the actual football side of things, these are two of the top offensive teams in the NFL. You can expect to see a lot of scoring in this game, so if you were ever dissuaded from attending sporting events because of that one time you went to a 90 minute soccer game that had no goals, do not be afraid. There are also reasons to watch the Super Bowl entirely separate from the sport of football itself. There’s the famous Super Bowl halftime show. Now be warned: sometimes these concerts can be utterly awful. The Black Eyed Peas, Madonna, and LMFAO all have done halftime events that were largely received negatively: picture a dysfunctional disorientation weekend. However, artists like Beyonce and Bruno Mars and have done brilliantly in their performances in the past: imagine Worthstock. Either way, it’s always worth it to see what kind of ridiculous stunts the NFL brings out for the show. This year, the big name artists performing will be Maroon 5 and Travis Scott, who make up a good combination of vocal talent and awesome stage presence. At least this part of the Super Bowl will have something you can talk about, so make sure you stick around for it. Another component that can have a huge impact on the quality of your Super Bowl experience is the food. Picking the right snacks to eat from a wide array of options is essential if you want to ensure your time is a good one. Now, if this is your first time at a Super Bowl party, the choices may appear to be overwhelming, so it’s best to just pretend you’re at Sharples. The wings at the party are … the wings at Sharples. Not great, not awful, messy, but probably worth the plate space. The chips and dip? They’re the french fries. You know you probably shouldn’t have them but they end up on your plate anyways. The celery, broccoli, and carrot dish? That’s your least favorite bar. Avoid at all costs. Finally, an essential aspect of a Super Bowl viewing that needs mentioning is the commercials. Super Bowl commercials are notorious for being topic of mass discussion across social media platforms. Like the halftime show, you can expect a solid combination of good and bad commercials. GoDaddy.com’s “kiss” commercial as well as various Bud Light and Doritos commercials have captured the nation’s attention in the past. Additionally, a 30 second commercial block cost 5.5 million dollars last year, so it’s always amusing to watch a company’s commercial completely flop on Twitter or Instagram. Expect some memes to come out of these commercials as well, so if you want to understand why a picture of a small kid with a phrase “I would have done X, but I died.” (look it up) keeps appearing on your timeline, stay seated during the breaks. Again, this is something you could easily talk about with your party comrades. Sometimes it feels like the game has more commercials than actual football, so make the most of it. So in sum, it’s Economics vs. Computer Science, whoever scores the most points wins, the non-football part is just as fun as the football part, and “Tom Brady is a system QB” is your golden ticket to safety. The Super Bowl is fantastic opportunity to spend time with your sporty friends who have been trying to get you into football since you admitted you didn’t know what a safety is, so do them and yourself a favor by watching the game. Perhaps you’ll even go viral for a tweet about a commercial.